All boys and girls with a DOB between 5/1/2003 and 8/31/2013 who reside in Marblehead are eligible to participate in MYB programs. Our Introductory Clinic is open to those with a DOB between 5/1/2002 and 8/31/2013. You must complete registration online and submit payment in order for your player(s) to participate in the MYB program. 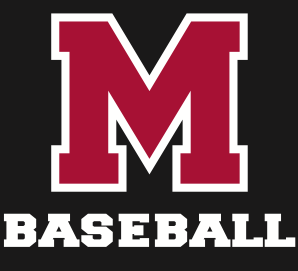 You will need a username and password to register on the MYB website: http://www.mhdbaseball.org. Please register using the e-mail at which you wish to be contacted during the season. **Please note: You have 90 days to complete registration. If you have not completed registration (including payment) within 90 days, the registration will be deleted, and you will be notified by email. All fees must be paid at time of registration on the website. MYB accepts only Visa and Mastercard secure payments online (we no longer accept paper checks by mail). Scholarships are available to those in need; please contact Steve Clay at for more information. No player will be denied the chance to play due to financial reasons. MYB desires to accommodate all children who wish to play. Experience dictates, however, that registration deadlines are necessary to ensure that the organization can complete all the preparations for the season in a timely manner. For the Spring Season, registrations must be received by March 30. MYB will refund registration fees (by check, minus a $25 processing fee) if a player withdraws prior to his/her first game. Please contact to request a refund.